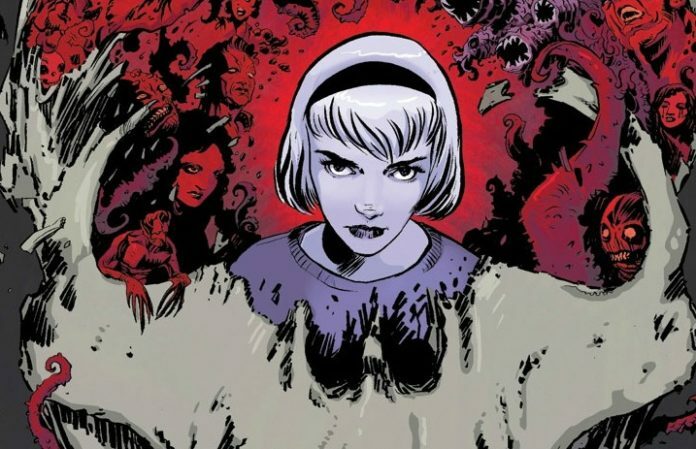 New details have emerged regarding the Riverdale spin-off series, The Chilling Adventures Of Sabrina, that will be coming to Netflix very soon. According to That Hashtag Show, production for the new show will begin in February 2018 in Vancouver, Canada. Character descriptions have also been published, including details about a new member to be joining the Spellman family. Lastly, the show will be introducing Sabrina’s cousin, Ambrose Spellman. He will be male, in his “early 20s” and of “African American or East Indian, British” decent. His breakdown says he’s “witty, puckish, pan-sexual—and loves being a witch. Trapped in the funeral home due to a binding spell, Ambrose lives in the mortuary’s attic and acts as one of Sabrina’s partners in crime…” He is also said to be a series regular. There has been no mention of Sabrina's talking cat Salem just yet. As previously reported, Netflix has picked up a 20-episode, two-season deal for The Chilling Adventures Of Sabrina, that focuses on character Sabrina Spellman (of Sabrina The Teenage Witch fame). Next articleKid Rock is getting sued by the Ringling Bros.